Daily Bible Verse 101: Honor the Sacred Heart of Jesus on the First Friday of September. Honor the Sacred Heart of Jesus on the First Friday of September. September 7, 2018 - First Friday in September. The 12 Promises of the Sacred Heart of Jesus: Jesus promised 12 special favors to all those who will honor His Sacred Heart especially on the First Friday of every month. In the 9th month of the year 2018, we look at Promise #9. #9. "I will bless the homes in which the image of My Sacred Heart shall be exposed and honored." Do you have an image of the Sacred Heart of Jesus in a prominent place in your home? Are you ashamed to displace it? Or do you consider it a childish devotion? "Jesus replied, "Your mistake is that you don't know the Scriptures, and you don't know the power of God." (Matthew 22: 29). Jesus Christ 100% God and 100 % Man is proud of His human heritage. He wants His brethren to be reminded of this. 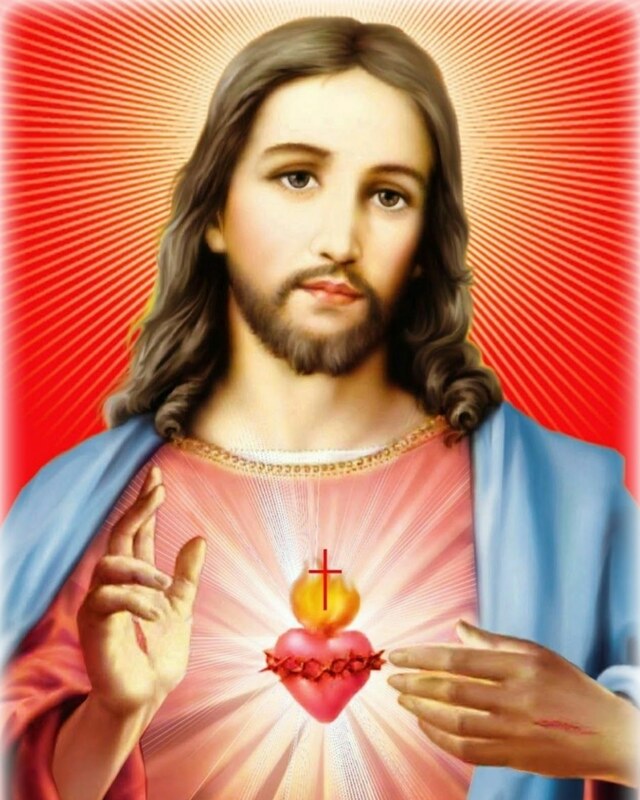 So Jesus mandated His image to be rendered by an artist for the Sacred Heart and Divine Mercy devotions. The Church approved these devotions and images. Patronize the ministry of the Catholic Bookstore by purchasing these images there.